Scraps Rock Hill Trash Pickup will take care of picking your trash up weekly. We try to do that in as convenient a way for you as possible. Scraps Trash Removal is more than just a South Carolina trash company- we are a community partner and an advocate for those with disabilities. We want to do more than just provide a great trash pickup service in Rock Hill, SC, we want to give back to the community and our neighbors. We have the most convenient and reliable trash removal service in Rock Hill, South Carolina. Scraps trash pickup services a more convenient experience. We have great monthly rates, a set and reliable schedule, and the best customer service for trash removal in Rock Hill, South Carolina. There are separate laws for Rock Hill trash pickup. We meet all trash removal requirements to ensure you don't get fined and abide the laws for Rock Hill Garbage Removal. Residential garbage in Rock Hill is defined as organic waste matter, both animal and vegetable, from kitchens composed primarily of waste food. Looking for the guidelines for our Rock Hill Garbage service? Just go to our services page and scroll down! Residential Garbage Service Rock Hill SC pickup day varies by your town. Have a question about your task pickup schedule? Then Contact Scraps! If your looking for the best trash removal company near you, you've found it! Scraps trash removal service in Rock Hill South Carolina offers a trash service with great monthly rates, a set and reliable schedule, and customer service for all of our clients. Where is our Rock Hill SC trash pickup service? Rock Hill is located approximately 25 miles south of Charlotte and approximately 70 miles north of Columbia SC. Rock Hill is the biggest city in York County, and it can be hard to find the right trash removal service. Trash removal can be expensive, as well as a huge pain. Instead of having to be woken up by a large garbage removal truck, we drive through in a more eco-friendly truck and a trailer instead of that giant, noisy garbage service truck. It may be more work for us, although it's a better sleep for you! 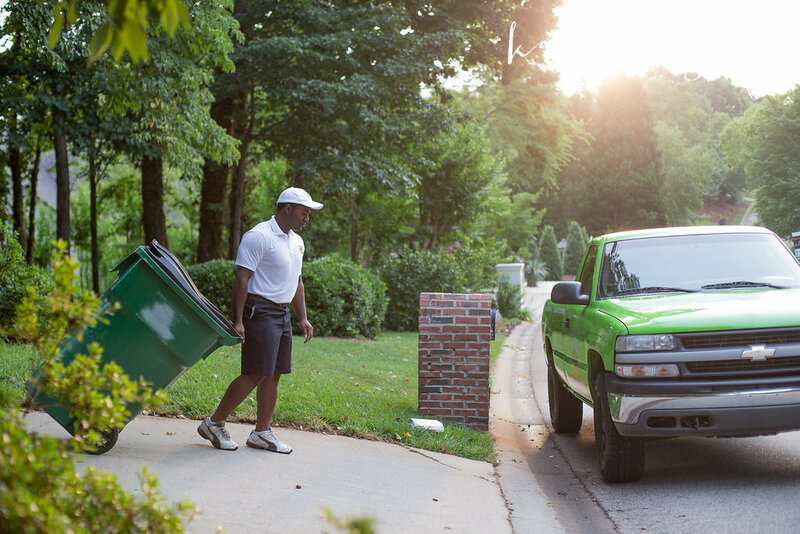 What's exclusive about our trash pickup service in Rock Hill South Carolina? Our trash pickup service in Rock Hill, South Carolina offers commodities that other trash removal companies don't provide. Have you ever had the annoying issue of forgetting to bring your trash all the way to the curb? Us too! We thought about how much easier it would be to just leave your garbage in a convenient place to be picked up? Yes! The only issue was there isn't any Rock Hill garbage pickup services that offered such a great commodity. Thus, Scraps trash pickup service in Rock Hill South Carolina was born. Just place your trash in the approved container at the location most convenient for you, and we will do all the rest. With Scraps, there's no need to drag that heavy can to your curb ever again!